Mystery Photo number 32 is aviation related, although not an RAN Fleet Air Arm aircraft. The type of aircraft in the photograph above? A particular feature of the weaponry of this aircraft? 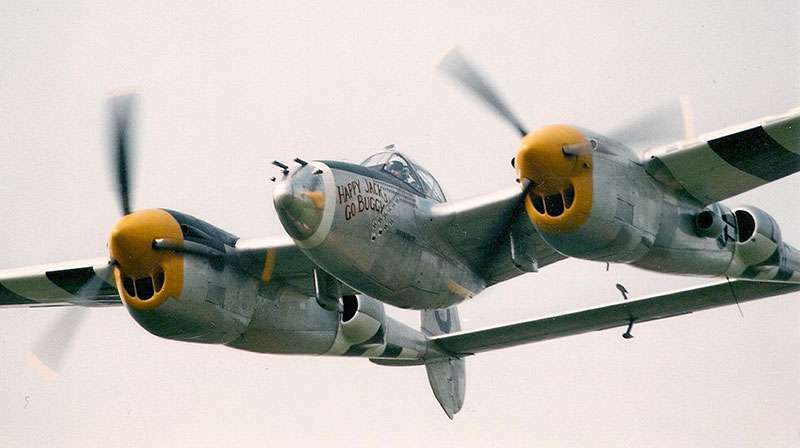 The answer is a P38 Lightning, which was the primary long-range fighter for the US Army until the P-51D Mustang entered the war in late 1943. It remained in production throughout WW2, however, and was the only American fighter to do so. 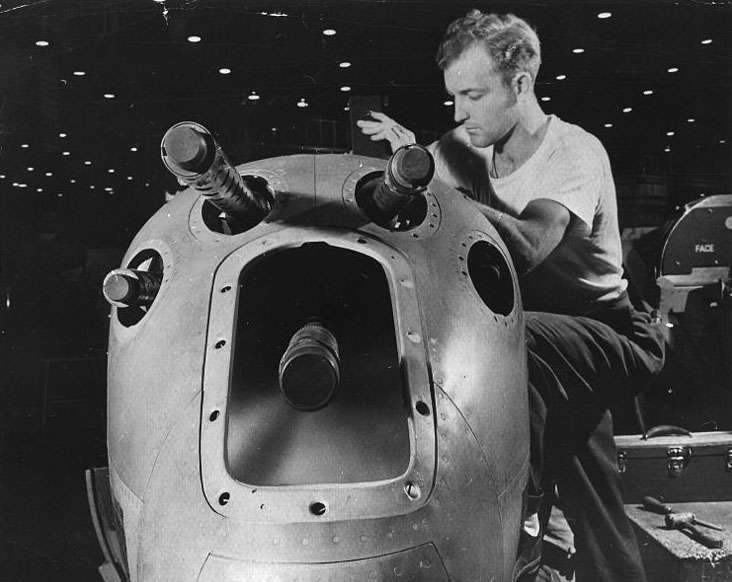 In the photo above an armourer is testing the guns, which were all mounted in the nose of the aircraft – an unusual configuration for fighters which typically had them embedded in the wings. Nose mounted guns did not suffer from having their useful ranges limited by pattern convergence, which meant that a good pilot could hit a target much further. A Lightning could typically strike a target at any range up to 1000 yards, whereas the wing-mounted guns of other fighters were optimised for much shorter distances. The rate of fire was 650 rounds per minute with every sixth projectile a 20mm cannon shell (the remainder were .50mm rounds). 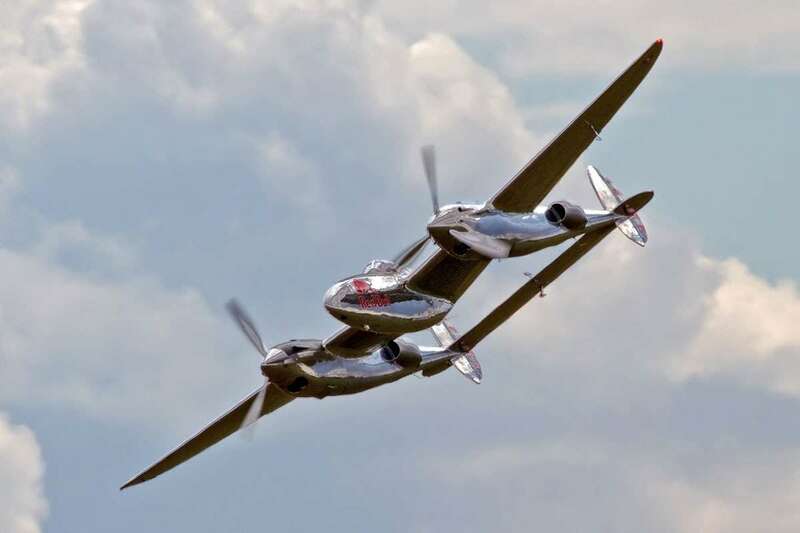 The propellers on the P-38 were counter-rotating, to eliminate engine torque . This was achieved by designing the crankshaft of each engine to turn in the opposite direction to its counterpart, a relatively easy design task in a modular designed engine. This configuration caused a problem if an engine was lost on take-off. In any twin engine non-centreline thrust aircraft the loss of one engine caused sudden drag, with the nose yawing towards the dead engine. The normal procedure was to increase to maximum power on the good engine and use rudder for directional control, but if a pilot did that in the P38 the resulting engine torque produced a sudden uncontrollable yawing roll, and the aircraft would invert and strike the ground. In the case of an engine failure on take off the drill was to reduce power on the good engine, feather the prop on the failed one, and then gradually increase power until the aircraft was in stable flight. 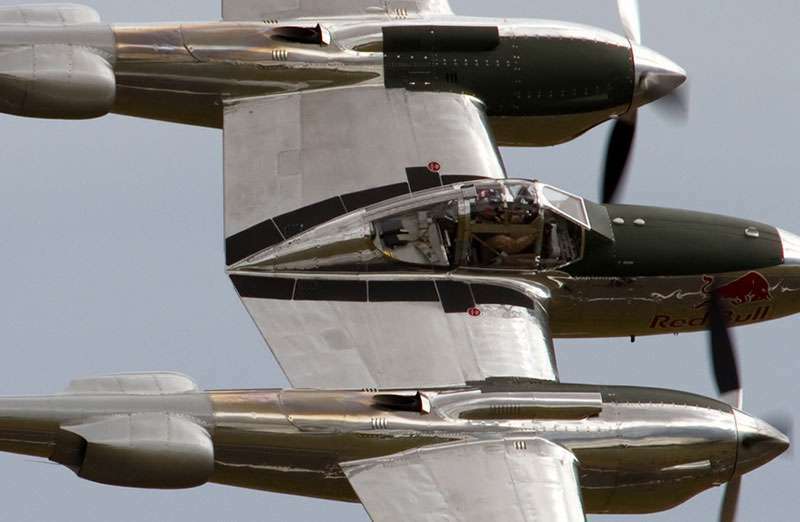 The P-38 was exceptionally quiet in flight, due to its exhaust being muffled by the turbo-superchargers.